We are not going to kid you by saying that it is the most unique album you will embrace this year, though bold adventure it certainly does not lack, but you will have to go a long way to find something as seriously rousing and simply enjoyable as Impervious. The new album from Australian thrashers Mason, it surges through ears with rabid energy and unbridled aggression and proceeds to raise the ante groove by searing groove and hook by virulent hook. Bursting from the Melbourne music scene in 2007, Mason openly embraces the Bay Area thrash scene and the obvious protagonists in the genre’s general eighties borne assault and consumption of world metal. A self-titled debut EP of 2011 was followed by the band’s first album two years later, Warhead which included guest guitarist Jeff Loomis (Arch Enemy, Nevermore) sparking far wider attention the way of the quartet. Its success was matched by that of second EP, Unmerciful last year and a live presence which over time has seen Mason share stages with the likes of Harlott, Havok, Accept, Revocation, Toxic Holocaust, Accept, Mutank, and Annihilator and play across Asia, Europe into Canada. Impervious looks and sounds like the key to the locks of the biggest spotlights and awareness, a tempest taking little time to get down to persuasive business. The portentous lead of intro Eligos lures the listener straight into the waiting clutches of Burn. Within seconds it is careering through ears with predatory riffs and rhythms as vocalist/guitarist Jimmy Benson stirs things further with his eager snarls. Swiftly you can hear the touches of bands like Testament and Kreator in the song’s assault but only to enhance its oncoming and subsequently relentless irresistibility. Creative twists and turns come with a definite Mason identity to further entice and excite whilst the chorus amidst it all is manna for rock ‘n’ roll instincts. The track is superb, a rebel rousing, bone shaking treat setting the tone and adventure of things to come. Tears of Tragedy is just as rapacious in energy and aggression next, the spiky tones of Benson as inspiring and tempting as his and fellow guitarist Grant Burns’ exploits. The rapier like swings of drummer Nonda T. and surly tones of Steve Montalto’s bass similarly stir spirit and appetite, their at times almost primal presence hungrily driving the sonic enterprise and assault of the song. With fiery melodies and descriptive sonic weaves webbing the encounter, it is another stirring slice of full throttle thrash to match its predecessor. Both tracks hint at an even bolder adventurousness and individuality in the Mason writing and imagination which is more pronounced within next up song, The Afterlife. It too has top gear in full use but wraps it in a melodic and technical prowess which is almost overwhelmed at times by the song’s ferocity but a constant impressive pleasure throughout. It too has a chorus which gets under the skin within one round of its anthemic call while pushing the album’s already lofty heights on again. The album’s title track follows; its tone almost barbarous as it sizes up its victim before consuming the senses with ravenous riffs, biting rhythms, and sonic animosity, this all bound in a virulent contagion which infests the psyche with ease. Individual flair again is as open as the animosity within the song’s irresistible presence before Cross This Path descends like a pestilential horde upon the senses. Saliva and venom drips from Benson’s tones, violence from Nonda T swings as the track carnivorously chews on ears. It is a predation superbly tempered by the sonic dexterity of Burns and Benson, though every tendril spun and melody uncaged certainly sears the senses. Sacrificed has plenty to live up to as successor to its mighty predecessor and with its sonic webbing and thunderous air gives it a potent shot if without quite making the last few steps. Nevertheless, the track captivates as it pushes evidence of an even bolder appetite unafraid to experiment imagination within the Mason sound and potential before Hellbent on Chaos savages and entices in equal measure. It too might lack the final sparks of earlier companions, such their heights and not its shortcomings, yet has body and spirit inescapably hooked on its creative scourge. The album concludes with the apocalyptic mayhem of Created To Kill. With words unleashed in rapid fire to match the concentrated trespass of riffs and rhythms, the song devours the senses. The bass of Montalto is a murderous ingredient in the suggestive patterns of the guitar, its predacious intent as darkly inviting as the flying beats and rabid riffs are insatiable. It is a stunning end to one outstanding encounter which will surely put Mason on the metal map with a forceful bang. The future of thrash metal is in good, old school inspired, but increasingly bolder and imaginative hands. As January shared its last days, Hell was unleashed in the form of the debut Mean Messiah album. It was the re-release of an invasion of the senses which left only one question in its furious wake. Just how did we like so many others, miss it first time around. The release is an ear withering, pleasure igniting storm of industrial death/thrash metal with much more to its irritable heart and searing blaze of sound. To simplify things it is a tempest resembling a raging tapestry of Revocation, Strapping Young Lad, and Fear Factory woven with strands of the likes of Cryptopsy, Blood Simple, and Static X yet stands as something distinctly individual to the imagination and roar of Mean Messiah. The Czech Republic hailing band started out as the one man project of multi-instrumentalist and producer Dan Friml, formerly of Sebastian, Apostasy and many other projects. The winter of 2005 saw him begin work on his first album, its release intended for the following year but delayed and delayed by numerous problems and complications before being completed in 2013. Since then its line-up has expanded, bassist Veronika Smetanová and drummer Honza Šebek joining Friml as he took Mean Messiah live, proceeding to play the biggest festivals in the Czech Republic such as Masters Of Rock, Czech Death Fest, Agressive Fest, Basinfirefest, and Gothoom. With the band working on a second album for release later this year to follow 2016 EP Let Us Pray, Mean Messiah and Via Nocturna has uncaged Hell again for a formidable and compelling reminder and wake up call for fans and newcomers alike. With its concept themed by people´s varied complicated journeys and destinies inevitably leading to hell, the album makes a calm, welcoming entrance though dark clouds and portentous sounds are soon looming over and invading the imagination as opener Temple of Hell grows in ears. Melodies are enticing yet sinister, rhythms predatory but restrained until throwing off their deceit and storming the barricades. From there grooves and hooks seduce as riffs and beats persist in their invasive intent as Friml’s potent tones snarl. That earlier descriptive comparison is in full swing as the track shares its dangerous and captivating virulence. The track is superb, using familiar textures in a new and fresh design before being matched in might and success by King Pathetic. The strong unpredictability underlining its predecessor is potent again, and across the whole album to be fair, prowling the vicious rhythmic tenacity and intoxicatingly venomous melodic and sonic web covering the song. Bracing and intrusive, things are punishingly catchy as thrash and death metal enterprise roar with angry rapacity as industrial essences beckon further involvement in the progressively toned fury. As the second built on and eclipsed the first, Spiritual Resolution breaches a new plateau of persuasion next, scavenging and thrilling the senses with its nagging choleric character while The Death Song with matching toxic dispute stalks and savages the listener with raw infectious enterprise. The first of the two weaves progressively honed melodic suggestiveness while the second lets its bestial ferocity drive the thrilling show. Hell is the perfect name for sound and theme within the album, the first echoing and fuelling the latter as found in The Last Ride which follows. In many ways the outstanding song is the least corrosive on the album, its swinging rhythms and magnetic grooves rousing infection but there is no escaping its instinctive animosity and barb littered acrimony. With orchestral beauty and atmospheric harmonies colluding with warm melodies, it is sheer magnetism, only intriguing and griping tighter as its growing imagination borders schizophrenic. The Game gnaws on the senses next, its riffs and beats an enjoyably persistent abrasion colluding with lust igniting electronics. Its irresistible stomp provides another appetite inflaming highlight within Hell, one more to the growing list joined by the dark instrumental climate and dance of Saltatio Mortis and the fiercely catchy caustic devouring of ears and soul cast by The End. Folk bred hues unite with extreme and groove spawn endeavour in the first with its successor a brawl of truculent rock ‘n’ roll, both as imaginative and expectations defeating as they are, certainly in the case of the second, emotionally primal. Completed by bonus track Remedy, another ridiculously tempting slab of thrash nurtured, creatively evocative music which needs no vocal side to excite and inspire the imagination, Hell grabs the listener by the throat and takes them on one brutally thrilling ride from start to finish. It also lays down a mighty benchmark its successor will be judged by but it is hard to imagine Mean Messiah failing to live up to the challenge with their now keenly anticipated second full-length. Hell is out now through Via Nocturna across most online stores digitally and on CD. Unleashing a debut album which intrudes upon and explores the psyche, UK progressive death metallers Rivers of Nihil is a band with a ruinous sound built with superbly accomplished textures. The Conscious Seed of Light is a captivating confrontation which as it devours and stretches the senses you can only have the feeling that its creators are at the start of a certain ascent to major recognition. The release is a demanding and intrusion affair, one which needs numerous encounters to truly reap all of its rewards, but a release which constantly stimulates and ignites imagination and passions. Formed in 2009 by vocalist Jake Dieffenbach, guitarist Jon Kunz, and drummer Ron Nelson, the band from Reading, Pennsylvania, was soon gripping attention locally with their dark heavy explorations. 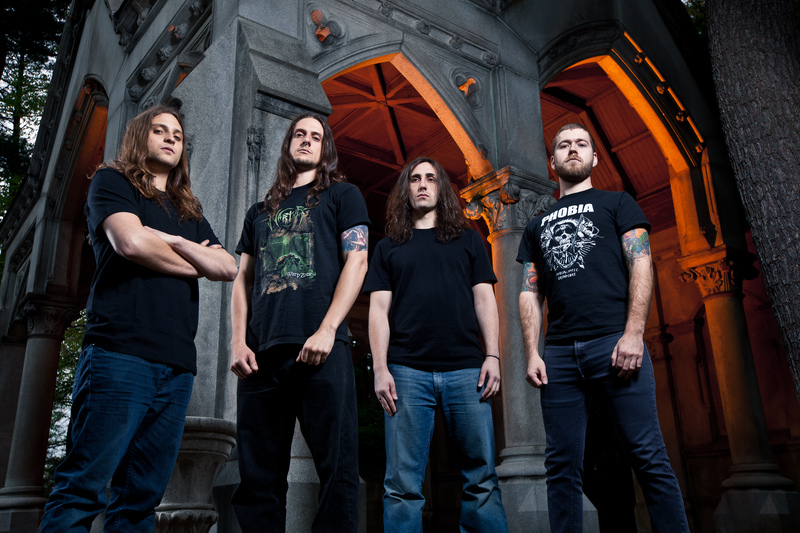 Extended to a quintet soon after their first live shows by the addition of guitarist Brody Uttley and bassist/vocalist Adam Biggs, Rivers Of Nihil subsequently released a pair of well received EPs, Hierarchy and Temporality Unbound in 2010 and 2011 respectively, whilst extending their live performances through shows and tours throughout the East Coast and Midwest as well as appearances at events such as Midwest Fuckfest with Dying Fetus, Misery Index and Arsis, and Akron Deathfest with Complete Failure. As their stock rose the band continued to reap praise for their live performances which saw them going on to share stages with the likes of Suffocation, The Faceless, Despised Icon, Revocation, Beneath the Massacre, Dysrhythmia, Decapitated, Six Feet Under and more. September 2012 saw the band sign to Metal Blade Records before entering the studio earlier this year with Erik Rutan (Hate Eternal, ex-Morbid Angel) at Mana Recording Studios (Cannibal Corpse, Goatwhore, Exhumed) to record The Conscious Seed of Light. The result is an intense and dramatically agreeable death metal violation, a confrontation which is as abrasive as it is magnetic and as destructive as it is violently seductive. With essences of the likes of Morbid Angel, Gojira, and Decapitated to its uncompromising depths and presence the album is a release which cries out for attention, and you suspect will eagerly receive it. The Conscious Seed of Light is planned as the first of four related albums, each reflecting a season with Spring the theme of the band’s debut which explores “various themes concerning new beginnings, growth, and an attachment to the natural world in a post-human Earth.” It opens with Terrestria I: Thaw, the track a short instrumental which sets out the soundscape for the release to expand upon. The melodic breath and progressive endeavour of the piece is an instant if not quite dramatic draw which builds up its pressure and intensity to flow into the torrential assault of Rain Eater, its rhythms and vocals a squalling tempest of malevolence and creative causticity. Dieffenbach has a nastily grazing delivery which easily pleases and makes a great rub upon the sonically melodic enterprise which spawns from the guitars. As emerges across all songs, there is plenty going on within the vicious maelstrom, a wealth of invention which needs time to reveal its full suasion but provides potent and exhilarating rapacious flights each and every time. The impressive start flows into the equally compelling Birth of the Omnisavior and Soil & Seed, both unbridled individual creative predations which leads senses and thoughts on a savage stalking of emotions and a dark damning aural storm. 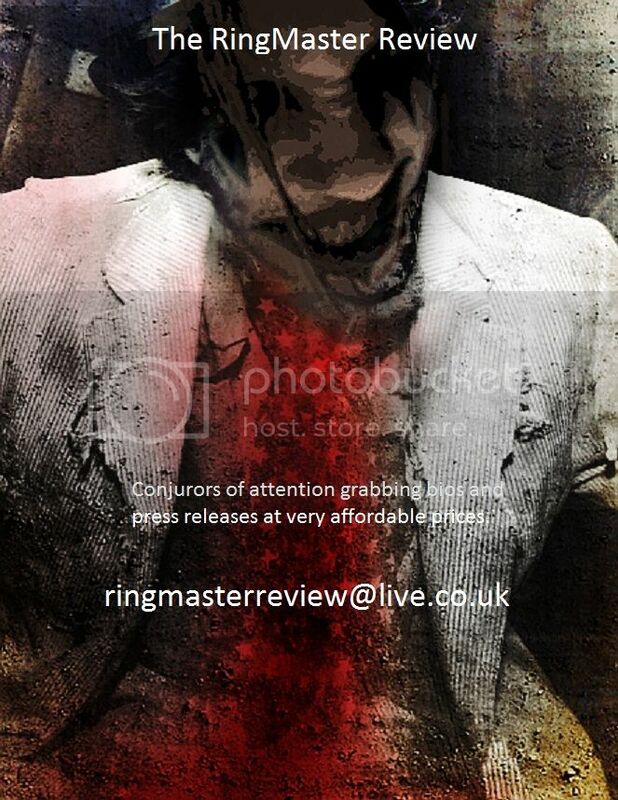 The second of the two is especially a bestial inventive ravaging which hints of directions across its sinewed flank but persistently just as you think you are on course with its intent twists down new avenues, its craft and mastery making for one of the major highlights of the release. Across an album which holds its imaginative heights at lofty levels throughout, further immense pinnacles come with the dangerously addictive riff chugging Mechanical Trees and the intensive sonically scalding Human Adaptation with its Meshuggah like air splintering malefaction, whilst closing track Airless is a lasting voracious transgression which invites the listener to take the sonic tsunami of The Conscious Seed of Light all over again. Not exactly an easy listen at times and a release with moments where distinction between tracks is lost without a really deliberate focus on the encounters the album is nevertheless an exciting provocation from a band you just feel has explosive horizons ahead of them. Rivers of Nihil is a name we will be hearing draped in acclaim starting with The Conscious Seed of Light.